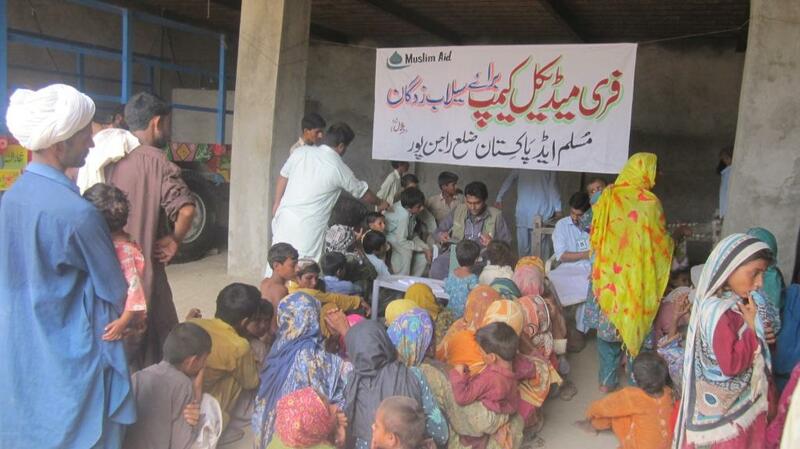 Muslim Aid Pakistan has rapidly responded to the recent devastating floods by establishing a free medical camp for the flood victims of district Rajanpur in Punjab. 370 people amongst whom 115 are male,145 are female and 118 are children; have been given necessary medication by the medical team. Muslim Aid field staff are closely working with district government in rescue operation.